Biography and 38 P.G. Wodehouse books available to download for free for iPhone, iPad, Nook, Android, and Kindle in PDF and all popular eBook reader formats (AZW3, EPUB, MOBI). P.G. 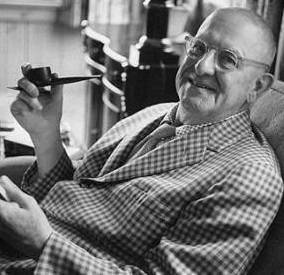 (Pelham Grenville) Wodehouse (nicknamed 'Plum') was born on 15 October 1881. He attended Dulwich College and rarely saw his parents. Wodehouse started writing during his school days and many of his early stories are about public school life. He wanted to attend university but family financial problems prevented this. He worked for the Hong Kong and Shanghai bank (HSBC) in London for two years before his writing sucess enabled him to become a full-time author. He became a newspaper journalist before going to Hollywood as a movie screenwriter. In 1924 he left England and lived in France and the United States. The outbreak of World War II found Wodehouse in France and he was taken prisoner by the Germans in 1940 and interned in Belgium and then in Poland. He was persuaded by the Germans to make some radio broadcasts aimed at the United States. Although they were light-hearted and witty they were received badly in England and Wodehouse was accused of being a German collaborator. After the war, Wodehouse moved permanently to the United States, took American citizenship and never returned to England. He was made a Knight of the British Empire (KBE) in the New Year's Honours List of 1975. In a BBC interview he said that he had no ambitions left now that he had been knighted and there was a waxwork of him in Madame Tussaud's. P.G. Wodehouse died on St Valentines day 1975.